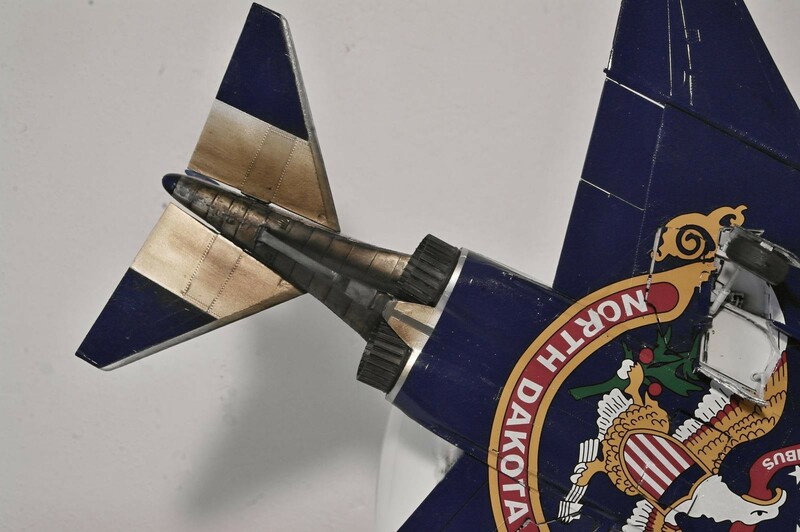 I like old models and this is old Monogram with decals from french Syhart models. 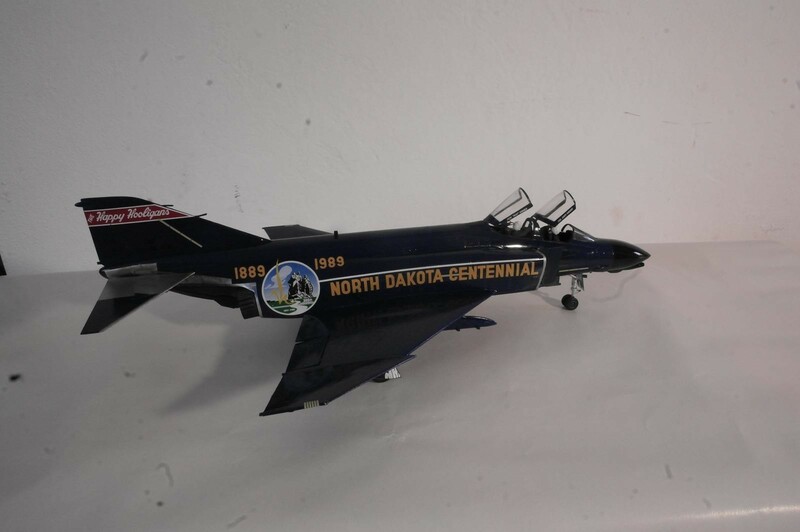 F-4D Phantom II AF66-498 “North Dakota Centennial” 1889-1989 The North & South Dakota joined the Union on 2nd November 1889, and became the 39th & 40th States of United States of America, The commemorate the centennial of North Dakota on 1989, an F-4D Phantom from the famous 178FIS “Happy Hooligans” of North Dakota Air National Guard based on Fargo (N.D), received a special scheme with colors of North Dakota flag, and the eagle applied very large below the aircraft. 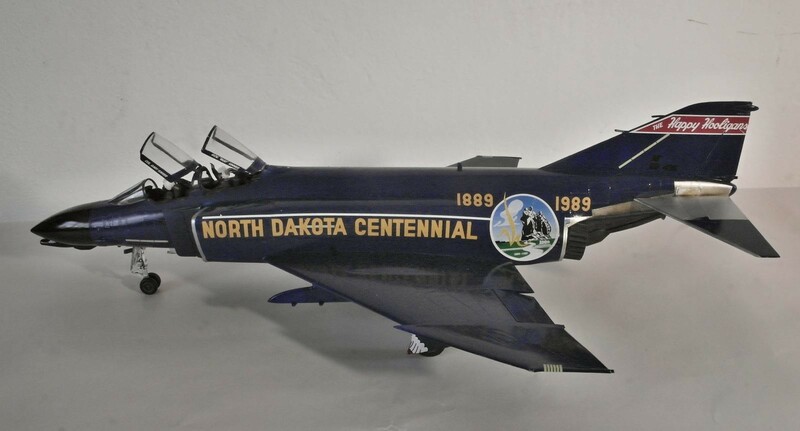 During the event the North Dakota governor flown onboard of this Phantom. 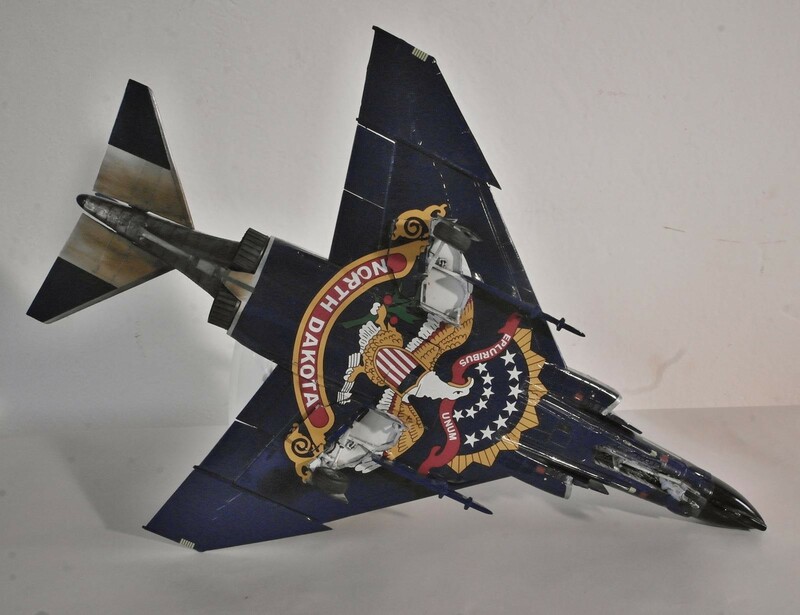 Through thousands Phantoms flown during decades, this F-4D is the only one fully specially painted in U.S Air Force. 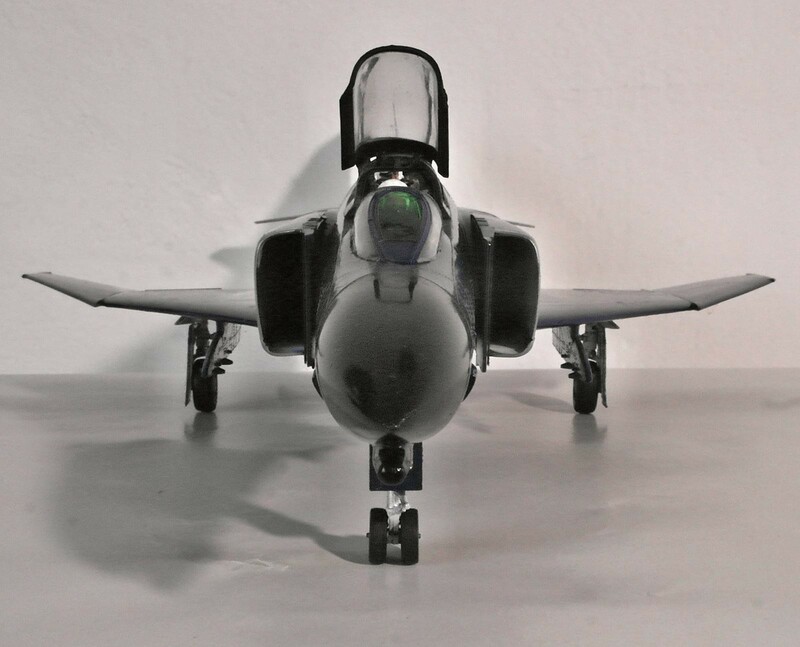 Nice F-4. 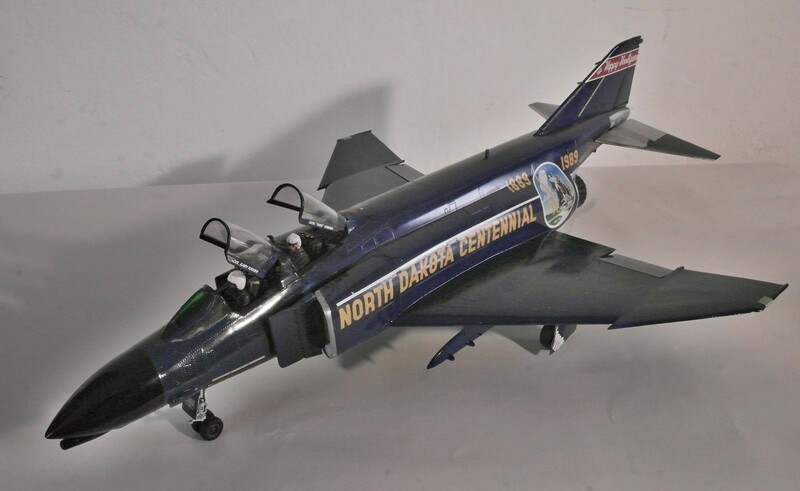 This Monogram kit was truly amazing for it’s time. You did a great job with her and I like this unique scheme. Looks Impressive! 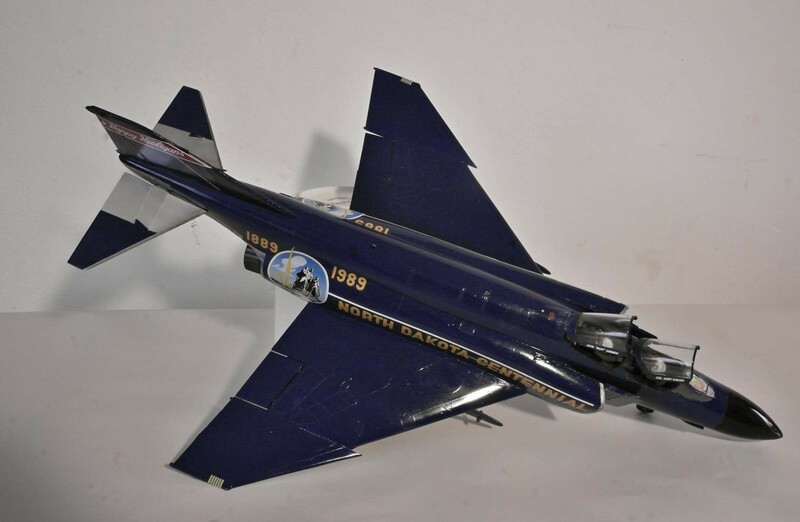 Phantastic Phancy Phantom!!! I think the kit has some of the most accurate the panel lines. Unique scheme, and nice clean build.